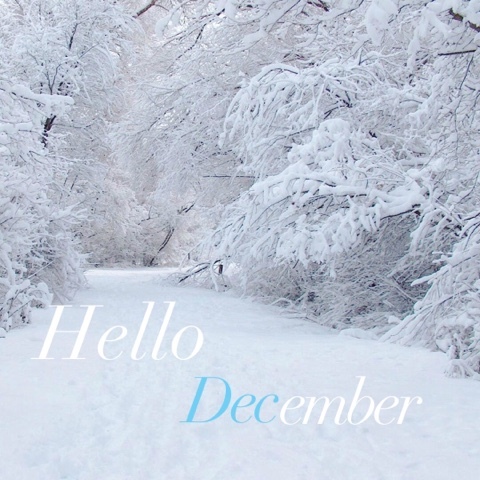 It's the first of December so it's official, we can all get excited about Christmas! I am one of those types of people that get so excited when shops dust off the baubles and get the decorations up, yes even if it's in September. 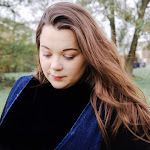 As it's the first of December it also means the beginning of vlogmas and blogmas which I fell in love with last year but as I have started my own blog there are so many new blogs that I have found that will be taking part. Are you taking part in vlogmas or blogmas? If you are, leave a comment and I will come and check your channel or blog out. My husband and I are looking forward to Christmas this year. Our daughter will be a little older and we are kind of hoping that she will actually play with her toys instead of the boxes or try and eat the paper. But this year is very special as it's the first year as a family in our new home and we are actually attempting to cook our first Christmas dinner. Normally we would alternate each year and go to our parents house, however this year, there's none of that! Just the three of us and the dog! 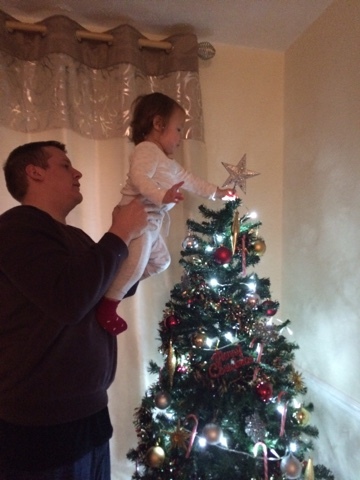 Our daughter really enjoyed helping with the decoration and was fascinated with all the tinsel and twinkly lights and even managed to put the star on the tree with Daddy's help of course. We have decided that this type of photo is going to become a kind of tradition for us, you have to admit it's pretty cute. 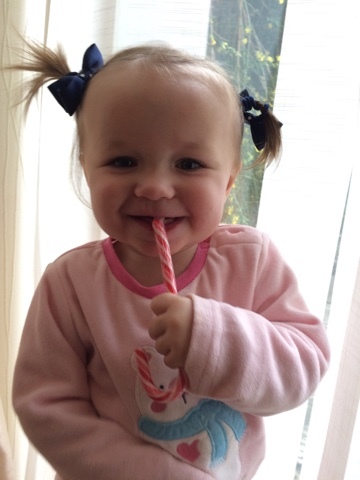 However minutes after my husband put her on the floor she was away with a candy cane I couldn't believe it. What a cheeky little toddler!!! So now I have to move all the candy canes up the tree because with her and dog! Little thieves. 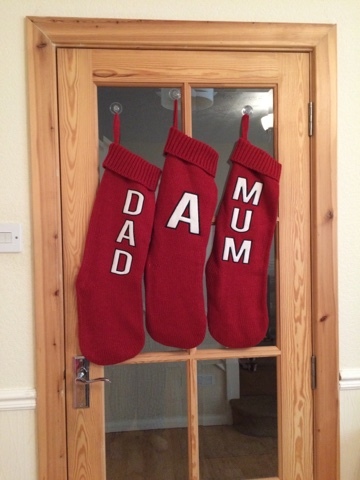 We also got matching stockings this year and I think that they are still available from Matalan, we got them for about £6 each but I would get yours quick as they are great value for money. I love these stockings are so big and soft, most stockings that are made available today are always too narrow and small, these are perfect. 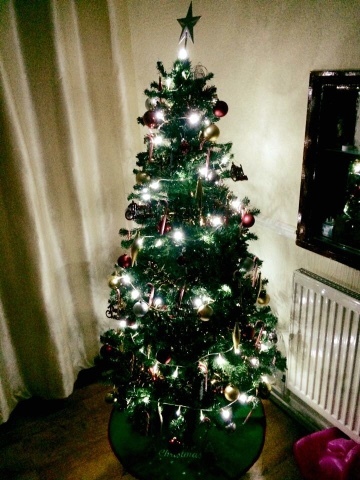 10 comments on "The Christmas Post"
We let our 3 year old decorate the tree. Yes we were that stupid. Cue one overloaded branch, I think your husband would have had a heart attack if he'd have seen it!